I’ve always been a little perplexed by raw food restaurants. And entire menu made up of food that isn’t cooked? Really? And so I was somewhat mystified, but also intrigued when I saw this recipe, labeled Raw Cauliflower Couscous over at the Tasty Kitchen site. 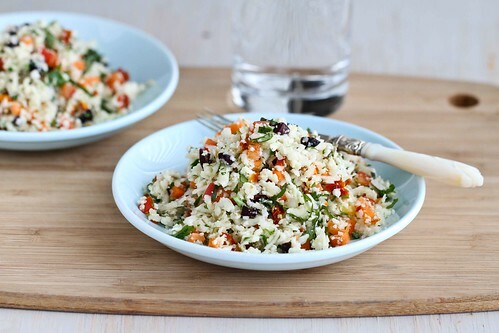 The first step in this salad recipe calls for grating the cauliflower, which I had never done. Let me tell you, it gives the cauliflower a really cool texture – light and fluffy, but with a crunch. What really caught my eye were the kalamata olives, capers (give me some brine, baby!) and sun dried tomatoes. Now we’re talking! The brilliance of this salad is attributed to Sally of The Spontaneous Hausfrau. If you spend a few minutes on her blog, you’ll find out that Sally doesn’t post just everyday recipes that have been done a thousand times over. You’ll discover recipes such as Vegan maple Cinnamon Mousse (made with cashews! ), Sesame Zucchini Noodles and Baklava Fruit and Nut Bars (going on my “must try” list). As you might guess from the whole “no cook” method discussion, this salad comes together in a matter of minutes. Just set to work chopping your vegetables, squeeze in some lemon juice, pour in a little olive oil and toss it all together. This salad was truly an unexpected treat, and one that just might change the minds of any cauliflower naysayers. Now I’m thinking that raw food restaurants might be worth a second look. Find the recipe and step-by-step photos at the Tasty Kitchen blog. Of, this is a most intriguing salad, Dara! Grating the cauliflower is genius. I love cauliflower (although roasted is still my favorite) but I like to eat it raw, too. With the olives and capers, it’s near exotic. Sold! Pinned! Thanks! So glad you introduced me to The Spontaneous Hausrau – love the recipes!! Can’t wait to try this delicious salad -perfect for Winter. Oh now THIS is gonna happen. I”m all about salads with a crunch. This looks so good, Dara! This salad is delish and I love it the way it is. Now, don’t hate me cuz I know this is a raw food deal; but I think that it would be awesome to throw in a pasta salad! 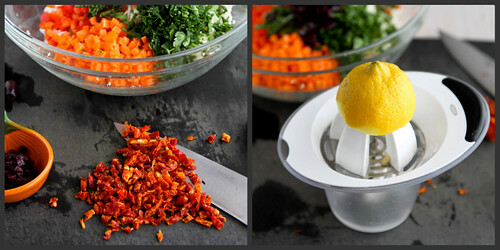 LOVE the raw idea, and how fun to grate the cauliflower! So genius! How clever to grate a cauliflower. I’ve started shredding my squash, and I’ve seen shredded Brussel sprouts, but it never occurred to me to grate a cauliflower. Intriguing . . . Thanks for the new thoughts! What a good idea to grate the cauliflower! I make cauliflower based dishes daily instead of having rice and I always just pulse it in the food processor! Such a pain, so much mess. I will definitely be trying the grating trick. So brilliant! I’ve never tried grating cauliflower! This looks fantastic. Sounds and looks fabulous. So healthy! I’ve never seen cauliflower look so good. Love the idea of grating it and turning it into a salad. Just the kind of salad we’ve been looking for to start the year off right. And so pretty! I had the opportunity to eat at Cafe Gratitude last month and became a huge fan of this whole movement. I never thought I would, but oh my…so good! 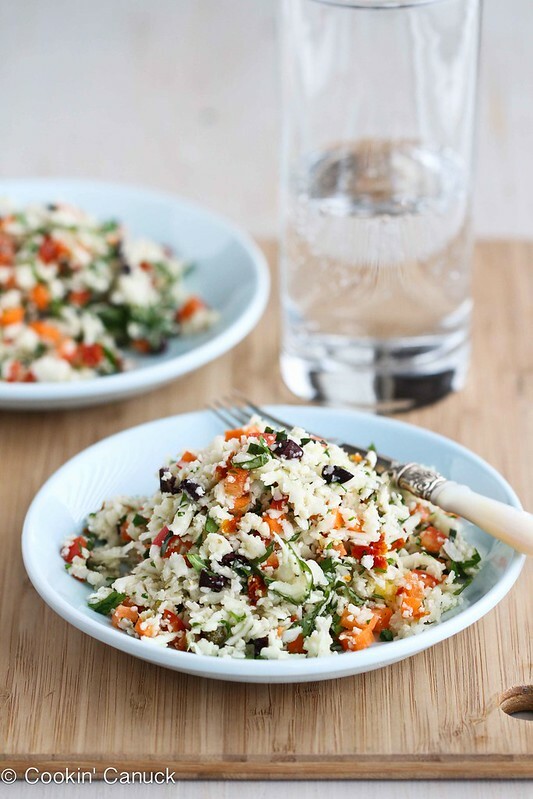 Thanks for highlighting this one – I’ve never heard of a grated cauliflower salad, but it seems like such a good idea! This is so interesting! I love the brine, too, and this sounds amazing! I could truly eat a huge bowl of this, and I know I would feel so good about it too! What a creative way to eat cauliflower!! I love it Dara! I was always skeptical of raw food restaurant, but then I tried Matthew Kenney in Oklahoma City. Who knew raw food (and desserts) could be so good? Thanks for sharing this recipe. I’m always looking for new ways to use cauliflower, and this looks delicious! I’ve never had cauliflower grated, but before I read the title you had me thinking it was rice, so I now have high hopes. Thanks for the idea, the salad looks delicious! Wow! This recipe is great!!! cheap rate. China too bring its better products out in the market. that the HTC Smart and Chat 3G use. 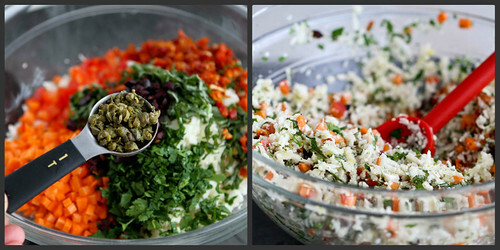 Did you use a dressing for this cauliflower salad? Thank you in advance of your answer.